Ceiling trends continuously change, from dramatic vaulting to ornate crown molding, however one aspect remains the same: the demand for something that is both beautiful and will stand the test of time. Neolith®, a market-leading brand of Sintered Stone, is bringing this demand to life with its application to ceilings, offering architects greater scope for material consistency in their designs. 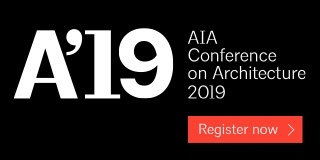 Developed in response to the current trend for the ‘back to nature’ look, where a holistic application of natural and organic materials is preferred, this innovation gives architects and specifiers a plethora of design options that are guaranteed to stimulate the senses. Imagine you are taking a stroll outdoors and are surrounded by trees, their leaves rustling in the breeze, a few of which have fallen onto the ground and crunch beneath your feet. You admire your surroundings and notice the abundance of natural shapes and patterns on display, from the granite domes that cradle a babbling brook to your left, to the cascading limestone outcrop to your right. Now imagine the outdoor scene you are in is actually your kitchen, and you haven’t left the house. This is what homeowners and industry professionals alike can expect to see this year, as the architecture and design world brings the great outdoors into a variety of spaces. The application of Neolith to ceilings essentially evokes the sky and opens up any space. Whether pristine Arctic White or daring Mar Del Plata, there is a choice for anyone who seeks inspiration and relaxation. For those who want to feel as though they are dining al fresco, or hotels that seek to immerse their guests in nature without them having to even step outside their rooms, Neolith offers a wide range of colors and finishes that mimic natural elements, such as wood, iron, marble, granite and quartz. Neolith ceiling applications have already been successfully completed in a number of projects, including the AC Hotel Dallas by the Galleria (AC Marriott Hotels) in Dallas, Texas; further afield in a Neolith Show Home in Amsterdam, Netherlands; the Unisensor building in Liège, Belgium; and the Clinique Saint Jean hospital in Brussels. Neolith material was also applied to the ceiling of Clinique Saint Jean’s Botanique parking garage. 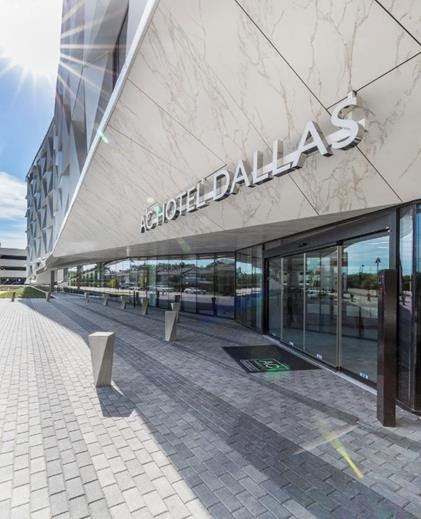 For the AC Hotel Dallas, the architect carefully considered both the aesthetic and practical requirements, as he sought to establish a harmonious relationship between indoors and outdoors. Calacatta Silk, which faithfully recreates the look of Italian marble, was selected for its natural, yet chic, appearance and because its light hue keeps exterior facades cool in hot weather. In addition to being visually appealing, the new application provides a reliable solution to an array of ceiling-related structural issues, such as water damage, drooping drywall, cracking paint and bulging. 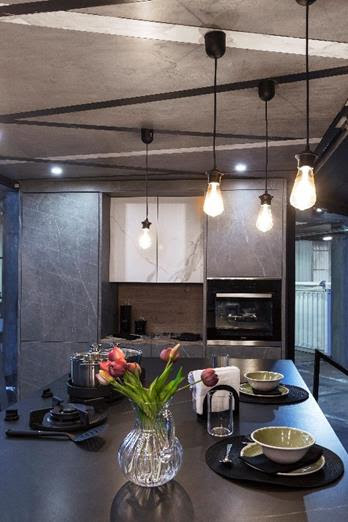 In kitchens, Neolith ceilings are immune to smoke and grease stains, and in bathrooms they are resistant to steam. They can also give an open-air feel to bedrooms, helping you to drift off to sleep. Wherever the Sintered Stone material is applied, you will not only feel at one with nature, but rest assured that your ceiling will last for years to come, requiring minimal upkeep and maintenance. Neolith is available for all interior ceiling and exterior overhang applications in 1/8” and 1/4” thicknesses for a seamless look in any residential or commercial property. Sheets in 1/8” thickness are available in 142” x 47”, and sheets in 1/4” thickness are available in 102” x 47”, 142” x 47 and 126” x 59”. All sheets can be cut to size to meet project specifications. For more information about Neolith and its uses, please visit: https://www.neolith.com/. To receive further information or images, please contact Lauren Samhoun, [email protected]. Founded in 2009, Neolith, the market-leading brand of Sintered Stone, is a revolutionary product category which has become a material of choice for architects, designers, specifiers and fabricators. This pioneering material can be specified for the most demanding interior and exterior building projects. Combining high-definition detailed decoration with high-performance qualities, Neolith offers the triple reassurance of strength, beauty and longevity. How is Sintered Stone produced? Neolith is produced using the very latest in sintering technology, replicating the thousands of years’ process by which natural stone is formed in a matter of hours. The raw materials which form the slab are first subjected to extremely high pressure, going through a pressing machine where a weight of 400 bars is applied. In the second phase of the process, the slab goes through a kiln where temperatures reach more than 1200° C (2200° F). This process of ultra-compaction creates full-body surfaces with unique technical features. Neolith has always been at the forefront of sustainable approaches within all of its manufacturing processes. A 100% natural composition requires an equally ecological production method. Building on the brand’s pioneering Neolith Digital Design (NDD), it has aimed to incorporate organic practice into the way they print their slabs. Hydro-NDD 2.0 takes the technology to the next level. Using a water-based ink, as opposed to the industry standard solvent base, Neolith has succeeded in offering a sustainable surface which never compromises on the quality expected from its Sintered Stone. All its slabs maintain the same definition and detail of pattern and design. Tried, tested and trusted, Neolith’s combination of realism, high performance and versatile formats make it a go-to material for architects, designers, specifiers and fabricators. Neolith is the optimum surfacing material for both indoor and outdoor applications. From a skyscraper façade to a kitchen worktop, Neolith’s physical and mechanical characteristics deliver ultimate performance, unmatched beauty and long-term value. Address: Polígono Industrial Camí Fondo, Supoi 8., C/Ibers 31. 12550 Almazora, (Castellón). 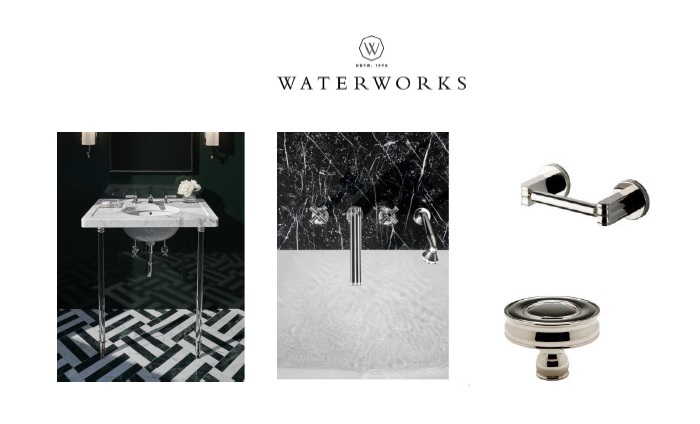 Waterworks is the ultimate destination for luxury products that elevate baths & kitchens from functional to unforgettable, and the brand’s Boulevard collection is no exception. Inspired by 1930s silver serviceware, the 22-piece line — including bath fittings, fixtures, hardware and accessories — boasts strong silhouettes, lavish scale and elegant decoration. Carefully and authentically crafted by artisans, the entire offering transcends trends to stand the test of time with precise proportions and crisp curves. Boulevard is stocked in Chrome, Nickel, Unlacquered Brass and Matte Nickel. Among the standout selection (shown left to right): the Boulevard Low Profile Three Hole Deck Mounted Lavatory Faucet with Crystal Lever Handles, Boulevard Glass Round Two Leg Single Washstand, Boulevard Low Profile Concealed Tub Filler with Handshower and Metal Cross Handles, Boulevard Wall Mounted Three Piece Paper Holder, and Boulevard 1 ½” Knob. For more information about Waterworks and its luxury bath and kitchen offering, visit www.Waterworks.com, or social media channels (Instagram, Pinterest and Facebook). WarmlyYours has launched a new digital tool which is expected to make online quoting for electric floor heating faster and easier. The new tool was officially launched earlier this week by WarmlyYours, a radiant heating manufacturer that specializes in floor warming systems. The Design Tool allows users to “draw” a digital version of their project to scale with fixtures like doorways, sofas, showers, vanities etc. 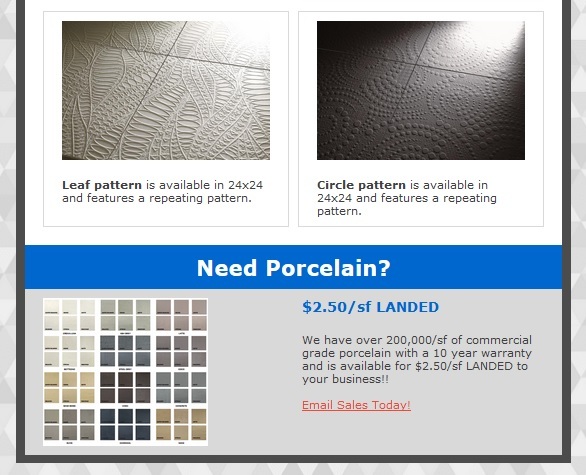 According to Julia Billen, owner and president of WarmlyYours, this level of detail was added to the Design Tool to help increase accuracy during the quotation process. Currently, the Design Tool can be accessed from within the Radiant Floor Heating Quote Builder, another online tool developed by WarmlyYours. The user will then be offered an optional “guided tour” of the Design Tool’s features. 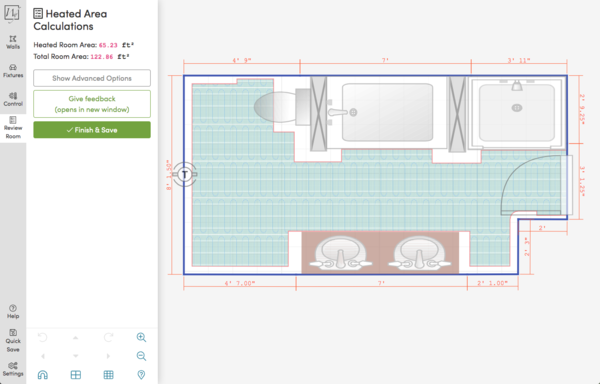 Once the user completes their “drawing” of their project using the Design Tool, they can then get a side-by-side comparison of the various floor heating systems that would work for their project. This comparison will include pricing and product information and from that stage, the user can either move forward with purchasing the system or request a custom installation plan. If they select the latter, a highly skilled team of engineers will use the “drawing” to create a custom SmartPlan that includes an itemized quote, an electrical plan, and an illustrated installation plan, all of which can typically be delivered in 1-2 business days. The Design Tool, along with various other online tools like the Heat Loss Calculator and Operating Cost Calculator, was completely developed in-house by the WarmlyYours IT Department. Billen said that the Design Tool is continuing the proud tradition of WarmlyYours placing an emphasis on combining radiant heating with cutting-edge technology. Movement joints are a required element in many tile installations. They perform a vital function but must blend in and be virtually unseen. Schluter Systems is expanding the number of color options for select floor and perimeter profiles making it easier to select a color that matches the grout. Matching the most popular grout colors allows the movement joint profile to blend in seamlessly with the overall design. 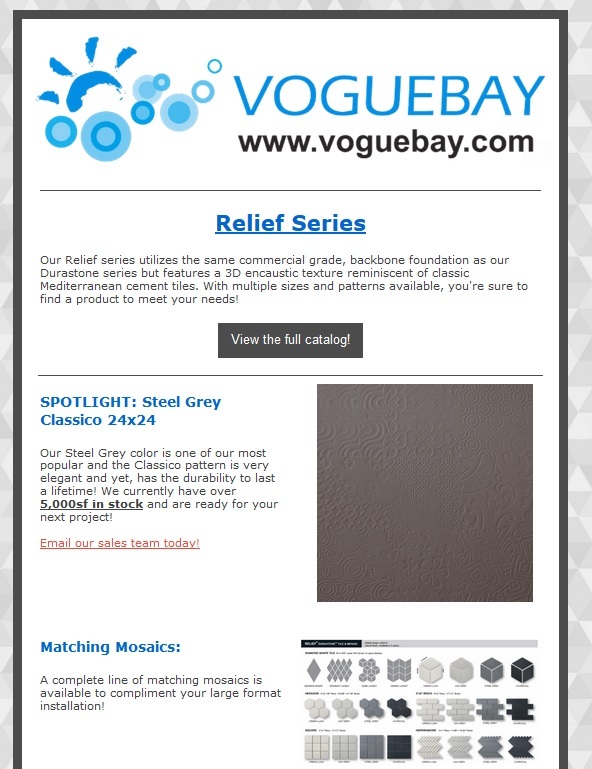 Whether the goal is to have a uniform design with grout and profiles that match the tiles, or to create some contrast for a bold statement there is a profile color to suit the purpose. DILEX-BWA perimeter joint profile. This profile has a single anchoring leg and is ideal for bathtubs, shower trays, door and window frames, and backsplashes. 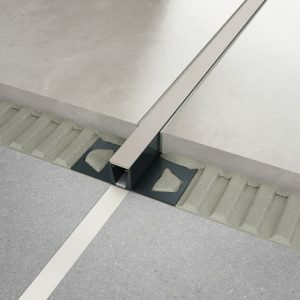 DILEX-BWS surface joint profile with a 3/16”-wide soft CPE movement zone to separate individual fields in tiled floors. DILEX-BWB surface joint profile with a 3/8”-wide soft CPE movement zone to separate individual fields in tiled floors. DILEX-KSN surface joint profile with stainless steel or aluminum anchoring legs with 7/16”-wide soft thermoplastic rubber to separate individual fields in heavy-duty commercial tiled floors. 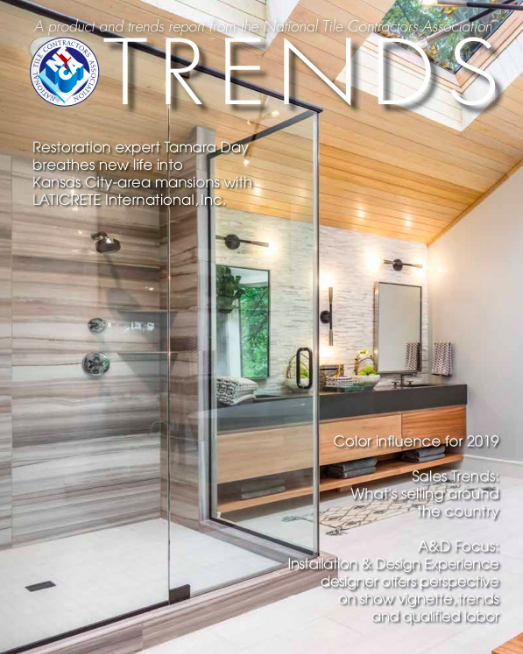 The new profile colors will be on display in the Schluter booth (2629) at Coverings ’19 in Orlando, April 9 to 12 and will be available in late April. Schluter®-Systems products are specifically designed for the tile industry to ensure that installations maintain integrity and durability. 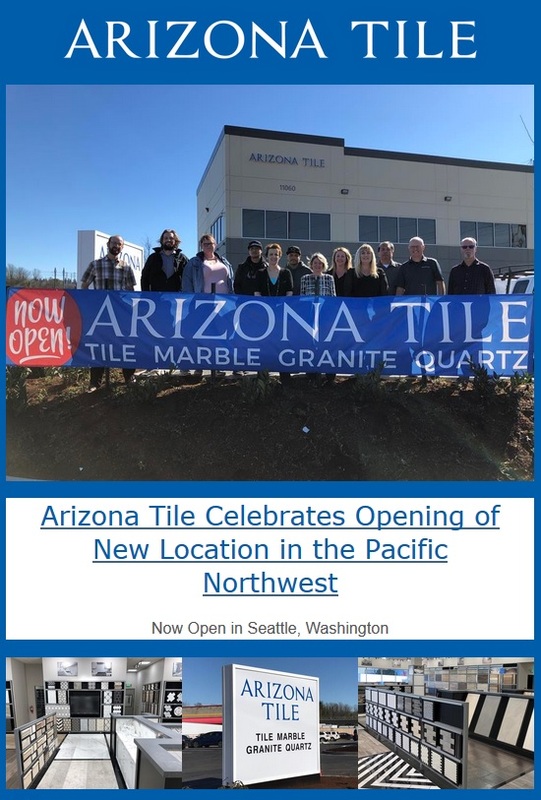 The company’s product line includes over 5,000 items, including tile trims, uncoupling membranes, waterproof building panels, shower systems, and most recently thin-set mortar. Schluter-Systems is renowned for its state-of-the-art technology with attention to detail for highly functional and visually appealing results. For more information, visit www.schluter.com. 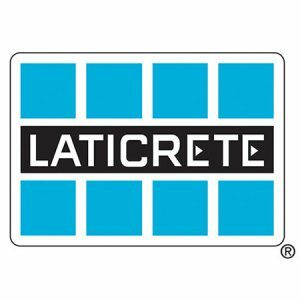 LATICRETE, a leading manufacturer of globally proven construction solutions for the building industry, has launched HYDRO BANⓇ Cementitious Waterproofing Membrane, a single-component, polymer-fortified cement-based waterproofing material that requires only water for mixing, resulting in a faster preparation process. Designed to perform under both negative and positive hydrostatic pressure up to two bars (29 pounds per square inch), HYDRO BAN Cementitious Waterproofing Membrane is ideal for use in swimming pools and aids in avoiding costly repairs from failure. This product can also be used to waterproof spas, water features, balconies or terraces over unoccupied space and all common building substrates that require protection from water exposure. 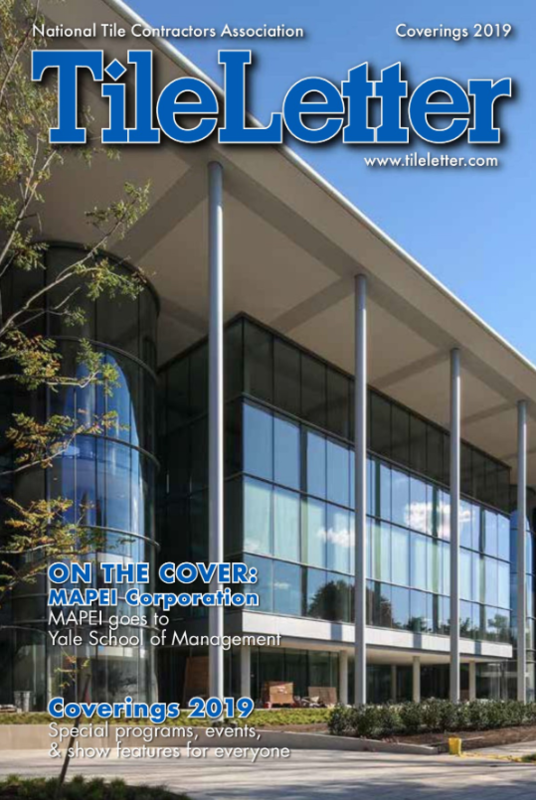 “In the construction industry, but more importantly in today’s society as a whole, we seek quick results. HYDRO BAN Cementitious Waterproofing Membrane is not a magic pill, but it’s pretty close. 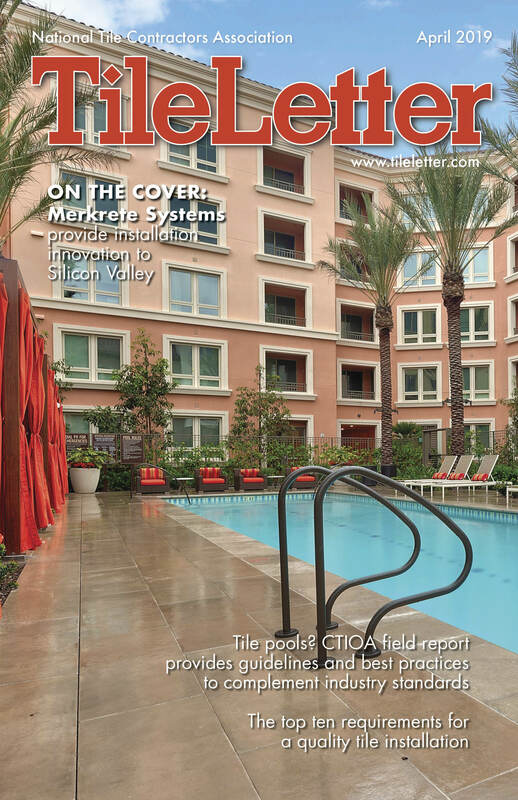 Competitive products on the market cannot handle the same amount of hydrostatic pressure HYDRO BAN Cementitious Waterproofing can and are two or three-part systems. 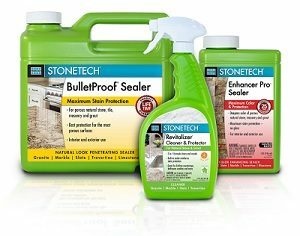 This product is a simple, easy-to-use, one-step product that allows for areas of application to be flood tested within two hours for a faster time to tile,” said Ryan Blair, LATICRETE Senior Product Manager – Grouts & Sealants. 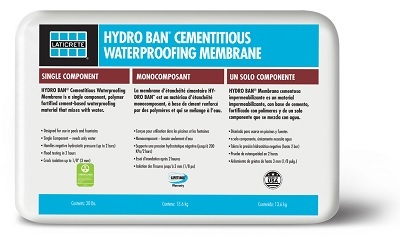 A single 30-pound (13.6 kilogram) bag of HYDRO BAN Cementitious Waterproofing Membrane covers 120 square feet at a maximum of 0.004 inch (1 millimeter) thickness when applied using two coats by brush, roller or spray application over interior and exterior concrete and masonry finishes, and over existing tile, drywall, cementitious backer boards and plywood on all interior floors and walls prior to the installation of tile and stone. For easy inspections, this product is white in color. Controlling an area light shining over the entire jobsite can be tricky when it’s strapped to the rafters. That’s why Bosch is introducing the future of connected lighting. The Bosch GLI18V-1200C 18V Connected LED Area Light with Bluetooth® offers users full control over the smart light using a mobile device. Pros can now turn the light on and off remotely, dim the light to the desired brightness, put it on a timer and even check the battery – all from the free Bosch Toolbox App. The Bosch GLI18V-1200CN is not only smart, but comes packed with features to withstand the most rugged jobsite conditions. Along with the area light’s protective roll cage, the tool’s IP64-rated cover is resistant to dust and water damage. Plus, it has five setup positions so pros can find the ideal angle to effectively illuminate a large work area. In addition, the cordless Bosch GLI18V-1200C is a light that lasts through the day. 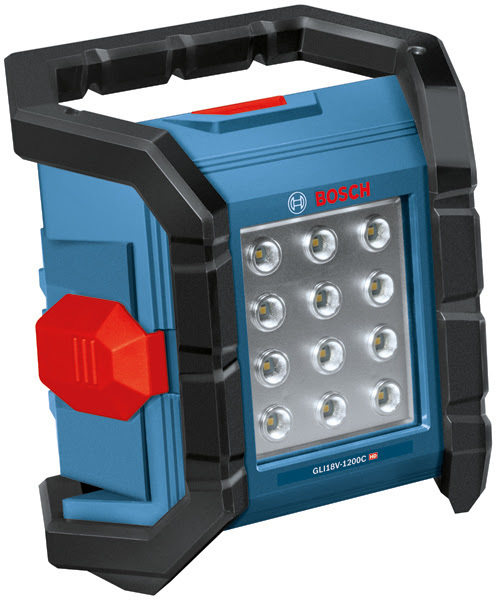 It works with the rechargeable Bosch 18V system to provide outstanding runtime. The light intensity is adjustable, with a lower, dimmed mode setting for longer runtime – up to 17.3 hours on a CORE18V 8.0 Ah battery (not included). At 1,200 lumens, it provides 10.6 hours on the Bosch 8.0 Ah battery. The free Bosch Toolbox App, which is available at the Apple App Store® or the Google Play® Store, works with both Android and Apple devices and allows connection to the area light from up to 100 ft. away via Bluetooth. The Bosch GLI18V-1200C LED Area Light is a bare tool; the battery and charger are sold separately. To learn more about the Bosch GLI18V-1200CN 18V Connected LED Area Light with Bluetooth® or to find a local dealer, visit www.boschtools.com or call 877-BOSCH-99. Robert Bosch Tool Corporation, the Power Tools Division of North America, was formed in January 2003 when Robert Bosch GmbH combined its North American diverse power tool and accessories businesses into one organization. As a manufacturing pioneer with more than a century’s worth of experience, the Bosch name has become synonymous with engineering excellence. Located throughout North America as part of the global power tools division, Bosch associates maintain a legacy of world-class design, manufacture and sale for power tools, rotary and oscillating tools, accessories and measuring tools. For more information, call toll-free 877-BOSCH-99 (877-267-2499) or visit www.boschtools.com.